Sunday’s ride to Bocketts Farm was uneventful apart from one unpleasantly close encounter. 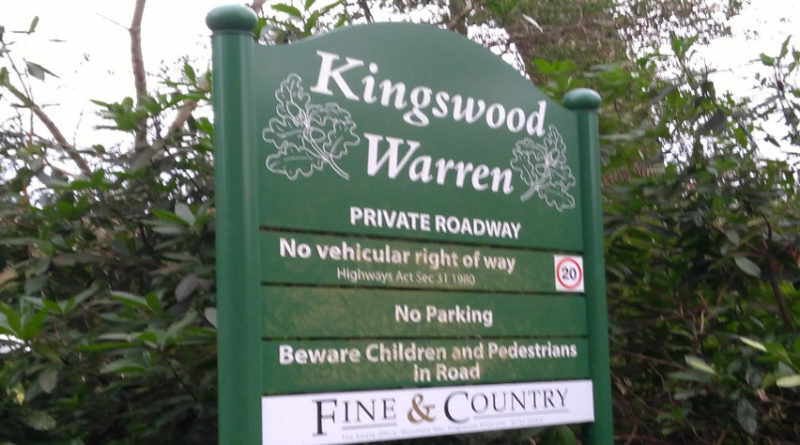 All through my time in the Anerley (since 2009) I have happily cycled the section of road going through the Kingswood Warren Estate at the end of Outwood Lane. It is not just a shortcut but a significantly safer route for the hundreds of cyclists who go through it weekly. On Sunday’s ride we were accosted by a man, in a yellow waterproof jacket, who attempted to barge into and otherwise physically prevent the club run from going through. As he laid hands on Mark Hancock, the result could have been much more heated but we asked him to get out of the way or we would call the police and he obliged among much shouting. I have since received an email from someone called Masding, Russell (Reigate) objecting to the Anerley Bicycle club riding through the estate on the grounds that it is private and there is no public right of way except for access. The right of public access to Sandy Lane has been disputed many times and it has been used by the public for over 80 years. In the last attempt to add a brideway that I can find, in 2001 Reigate Council observed that people have walked and ridden through with only one recorded objection since 1936. It is very interesting to note that the road is owned by Costains and not the frontage house owners so I do not think that residents have any right to physically confront the hoards of cyclists (or anyone else) from going through. In my opinion we do no harm and act as some deterrent to burglars active in the area. Indeed with the issue of burglaries, there has been some debate in the Residents Association that gates should be erected. Among the difficulties mentioned in the residents’ report “because the area is surrounded by open land and criss-crossed with public byways, any gates would easily be bypassed by criminals”. Although I am generally of the principle that aggravating other people should be avoided, public access where no harm is being done should be available. In other words, good luck in enforcing this as a non public right of way to bikes. Note to myself, although their notice does not apply to pedal powered bicycles, don’t go through on your electric Brompton!